We live in a digital age, so most print shops you visit will have- you guessed it! Digital printers. We have 7 digital printers in our shop, and when it comes to hi speed, low quantity jobs with a million different colors and variable data- those machines are our workhorses. 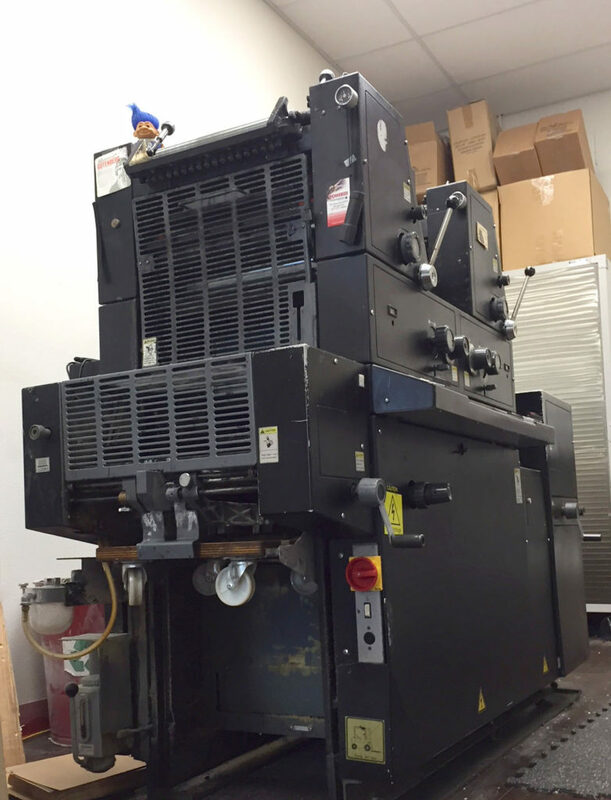 What sets us apart from many other print shops is that we also have an old school offset printing press. With offset printing, each color used in a design must have its own special plate, containing tiny holes that allow the ink to reach the paper only on the intended areas. The paper is run through one time for each color used in the design, a process very similar to screen printing. The advantage of offset is it makes orders with very large quantities more affordable, a wide variety of specialty papers can be used, and exact color matching is possible. We often use our press for stationery, because with digitally printed letterhead and envelopes, the ink can sometimes crack if run through an industrial printer a second time. With papers printed on the press with ink, the design is unaffected by later being run through a hot digital machine. 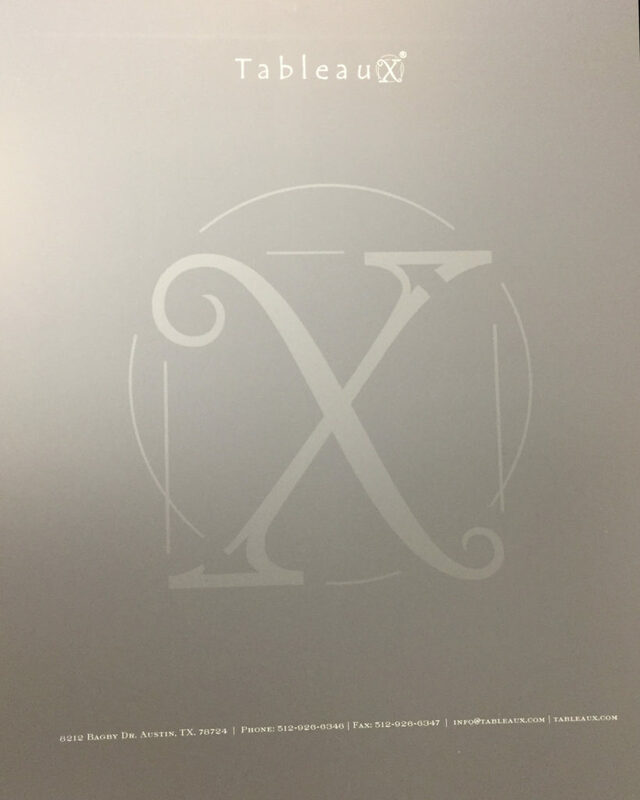 Below is a photo of a letterhead plate for our friends at Tableaux. We keep the plates on file, and when they need more letterhead, we load up the press with their signature 60% Grey Ink and go! Denny runs our press, and despite the many fast moving parts, he still has most of his fingers. If you’re in need of a great deal on stationery or other large quantity printed items, drop us a line and we’ll get you a quote!